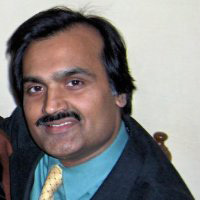 Manoj is the director of research & development at Kismet Jardin Pty Ltd. He is one of the very few formulation-science experts, who have significant experience in the three main areas of cosmetic formulations i.e. skincare, haircare and perfumery. He has years of hands-on experience at the bench as well as theoretical knowledge about various aspects of cosmetic-chemistry including emulsion science, lipid chemistry, hydrocolloids, preservation technologies, extraction processes and analytical toxicology. Manoj has extensive scientific expertise in developing active ingredients and formulating products that precisely meet todays consumer demand for safe and effective cosmetics. With his passion for creating beautiful personal care products, he wishes clients and customers an exciting journey to greater health, beauty and happiness. Through his formulations, Manoj believes in delivering substances that are naturally harmonic to skin, bodily systems and psyche, resulting in strengthening and restoring of the organ systems. Manoj practices and firmly supports improved consumer safety, lower envirnmental imapct, and sustainability in cosmetics and perfumery. 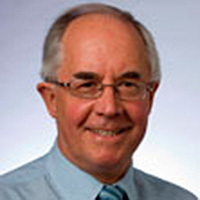 Peter is Professor of Nutrition Research in the School of Biomedical Sciences and Pharmacy at the University of Newcastle, Australia. He is also Director of the Clinical Nutrition Research Centre, a new cross institutional research collaboration based. He has an extensive track record of multidisciplinary preclinical and clinical research in bioactive nutrients, cardiovascular physiology and neuroscience. Peter advises on strategic scientific developments for Kismet Jardin. 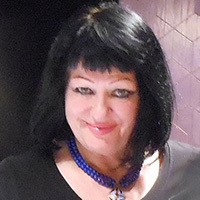 Peta-Ann is an accomplished artist and perfume designer. She is style and image director for the Kismet Jardin group of brands. Whether developing new packaging, creating artwork or blending a complex perfume formulation, Peta-Ann artistically combines treasures from both the East and West. Her perfume compositions are unique and natural. Angelique is passionate about corporate social responsibility, and advises on business development at Kismet Jardin. 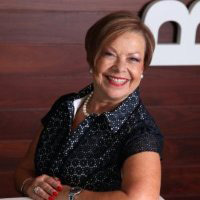 Angelique is also Managing director at Boileau Business Solutions, one of the top 100 companies in South Australia. Angelique loves animals and is a proud supporter and major sponsor of Adelaide Zoo.